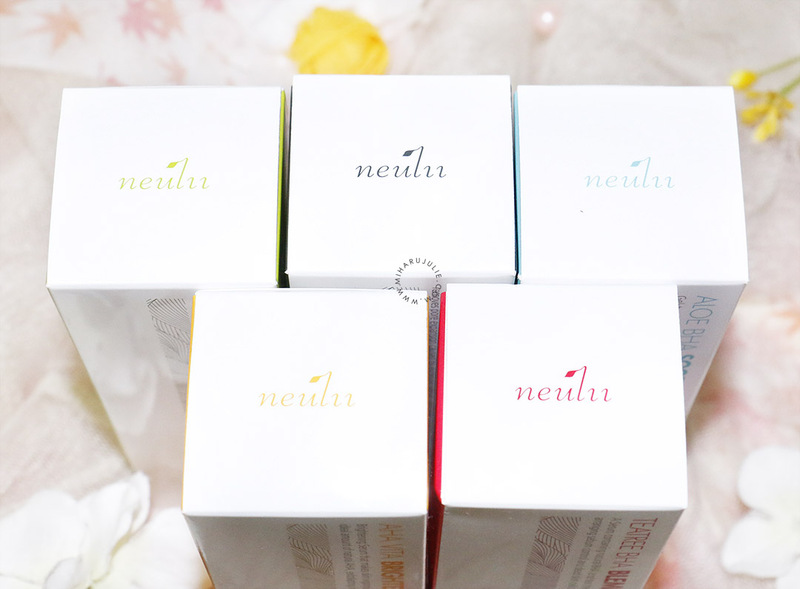 Neulii is a Korean skincare brand, that is newly launch by RoseRoseshop. Neulii’s name stems from the Korean characters of Neul + i, meaning ‘Always’ in Korean – 늘이(렇게) for those who are interested. 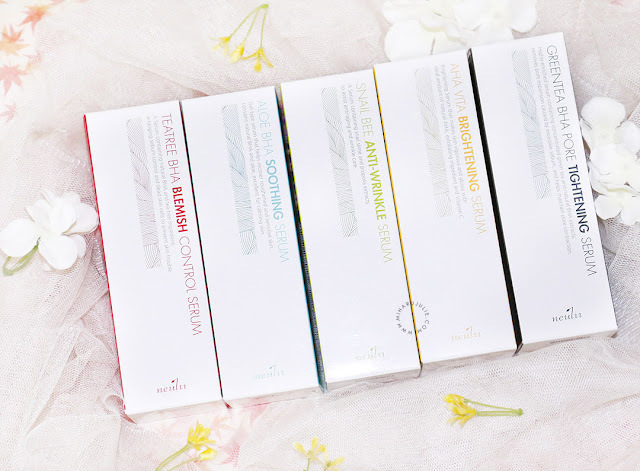 They released 5 types of serums: Brightening, Blemish Control, Anti Wrinkle, Pore Tightening and Soothing serum. I use the serum only at night before I go to bed. The box packaging is very simple with a rather modern approach. They don’t over-ornate, and express a sort of quiet elegance through their detailed branding and typography. 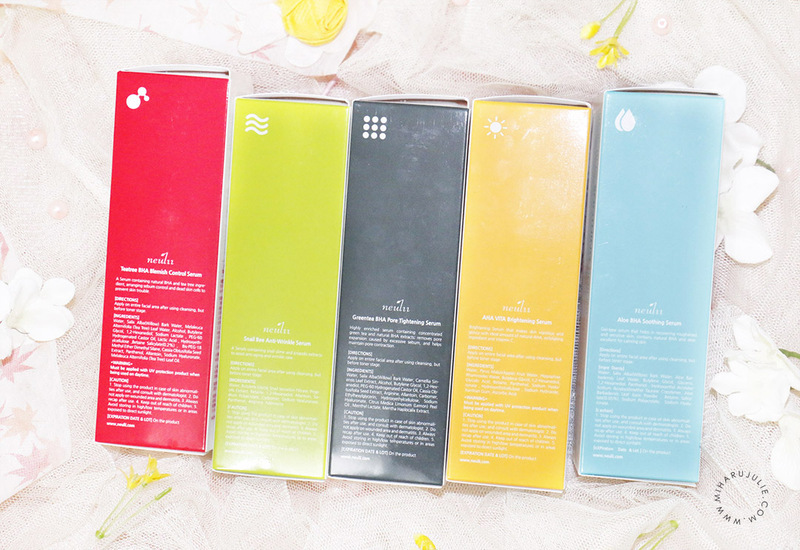 Each of these serums are 100ml and the ingredients they use are most of them natural ingredients. 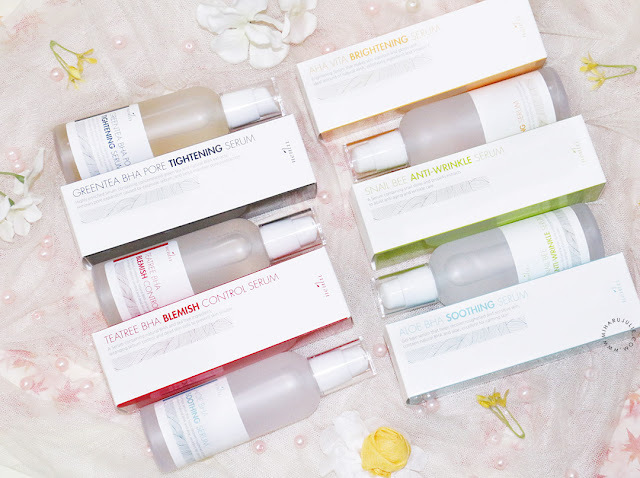 Suitable for any skin type. For its price, I think that the NEULII range has quite a classy look to it. 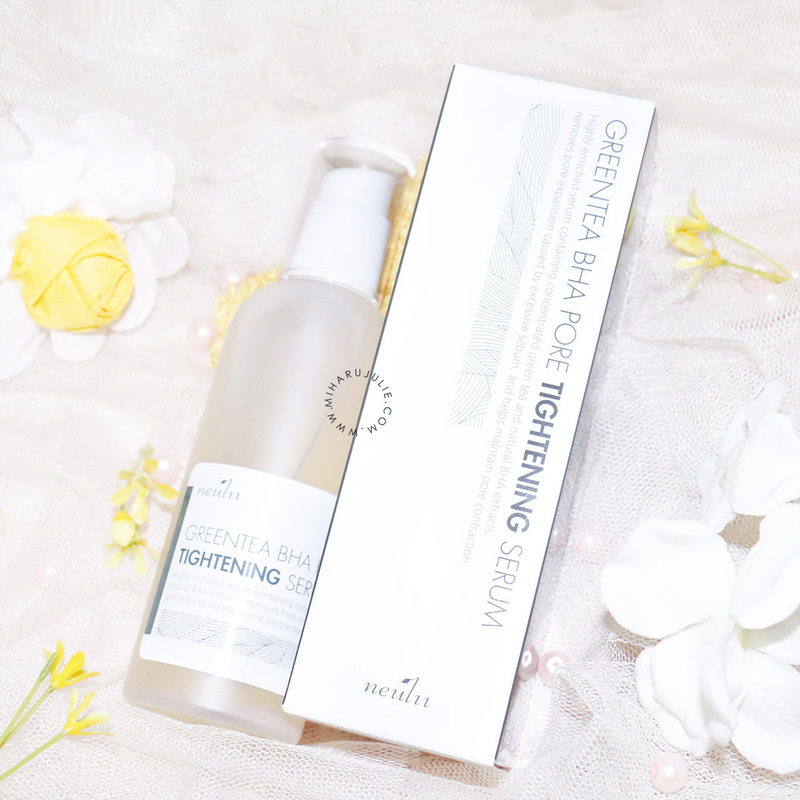 This serum comes in a frosted clear plastic bottle with a pump applicator, making it easy to apply. 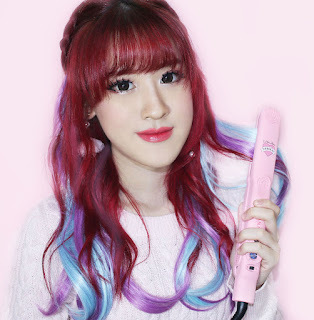 The pump doesn’t “squirt” the product out, but gently deposits a generous amount of product. NEULII Teatree BHA Blemish Control : A serum containing natural BHA and tea tree ingredient, arranging sebum control and dead skin cells to prevent skin trouble. Beta hydroxy acid (BHA) is more commonly known as salicylic acid. 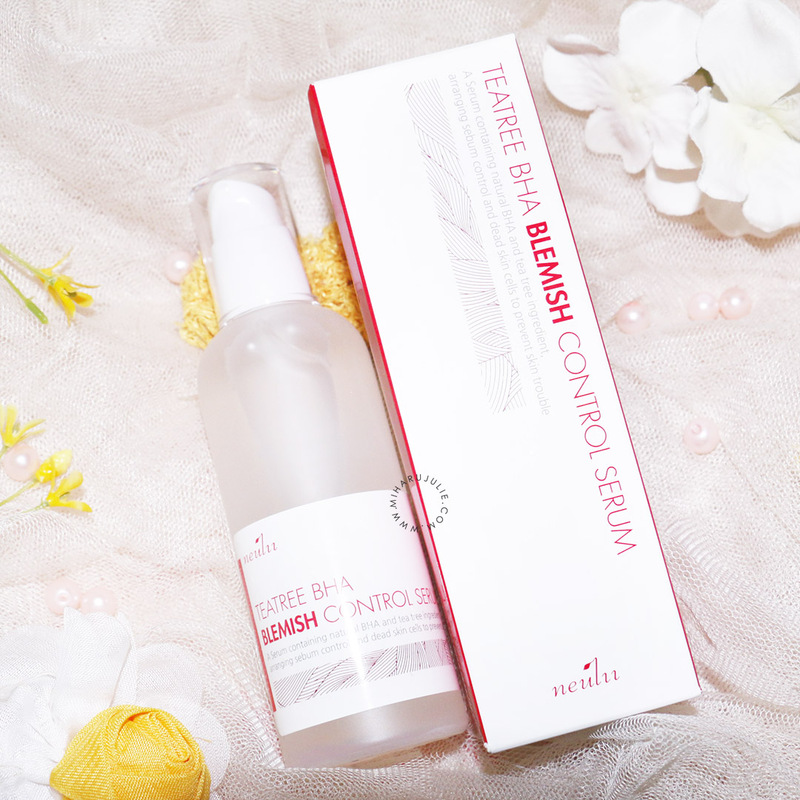 BHA has antibacterial properties that attack blemish-causing bacteria. It is a naturally occurring ingredient. 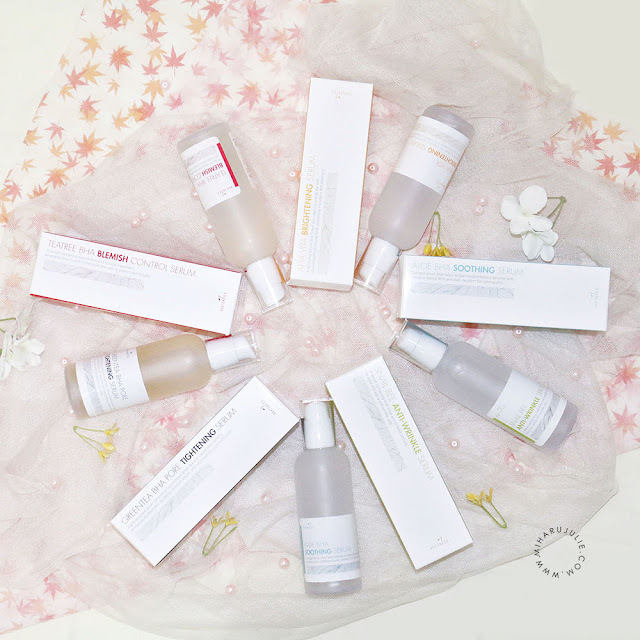 Salicylic acid has been shown in multiple studies to improve skin barrier function and collagen production. 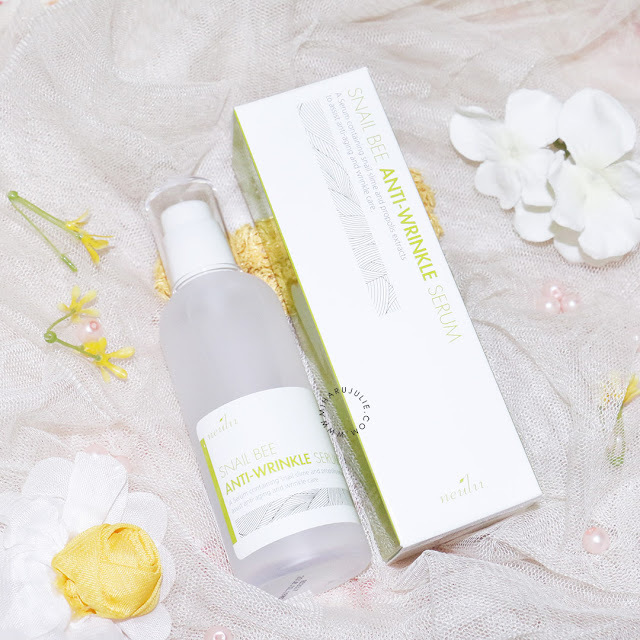 Neulii Snail Bee Anti-Wrinkle Serum : A serum containing snail slime and propolis extracts to assist anti-aging and wrinkle care. 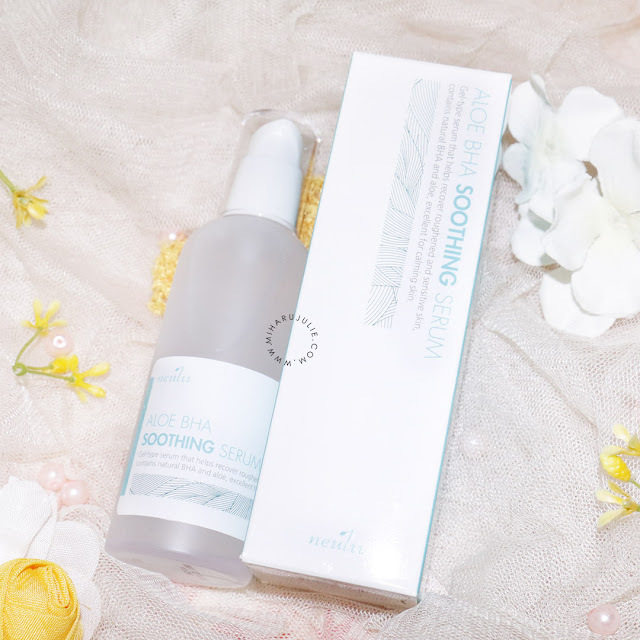 Neulii Aloe BHA soothing Serum : Gel-type serum that helps in recovering roughened and sensitive skin, contains natural BHA and aloe, excellent for calming skin. Neulii green tea BHA Pore Tightening Serum : Highly enriched serum containing concentrated green tea and natural BHA extracts; removes pore expansion caused by excessive sebum, and helps maintain pore contraction. 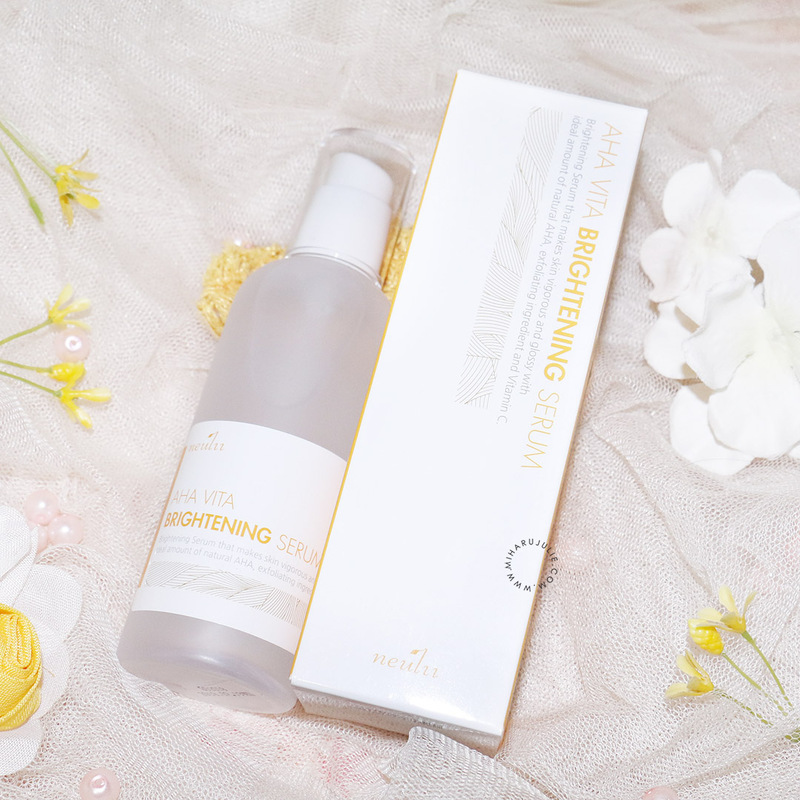 Neulii AHA VITA Brightening Serum : Brightening serum that makes skin vigorous and glossy with ideal amount of natural AHA, exfoliating ingredient and Vitamin C.
This serum has a thick, almost gel like texture. The consistency is transparent, liquid and smells like very little. 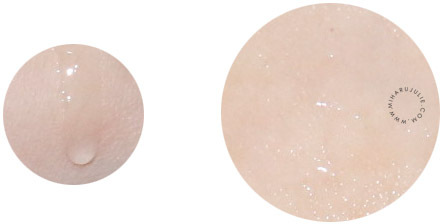 It's easy to spread on the skin and absorbs quickly, leaving a slightly tacky finish. My fav serum is Neulii Brightening Serum, Neulii Aloe BHA Serum and Neulii green tea BHA Serum. I do like this Korean serum because It is calming and moisturizing. It doesn't leave a residue and absorbs fast but sometimes the scent is disturbing. I am not sensitive to the ingredients in the serum but you should check it out for any potential irritant. I have no problems using this daily! Please do not expect miracles because the serum is meant to be used everyday on a consistent basis. 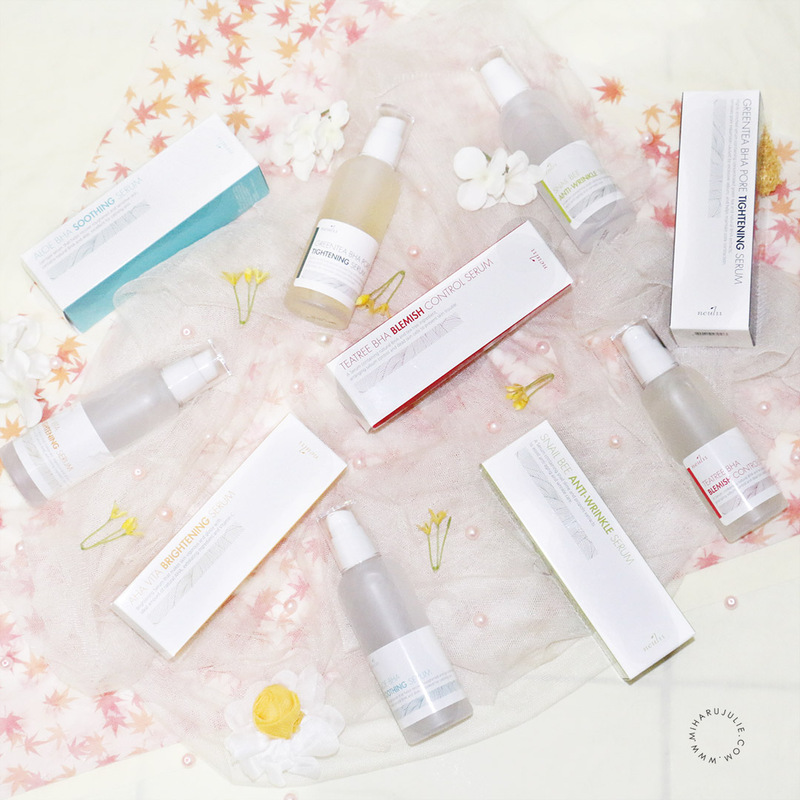 The first few times I didn’t notice anything, but after 2 month my skin looked more radiant. I still had a dry skin but the results became better. 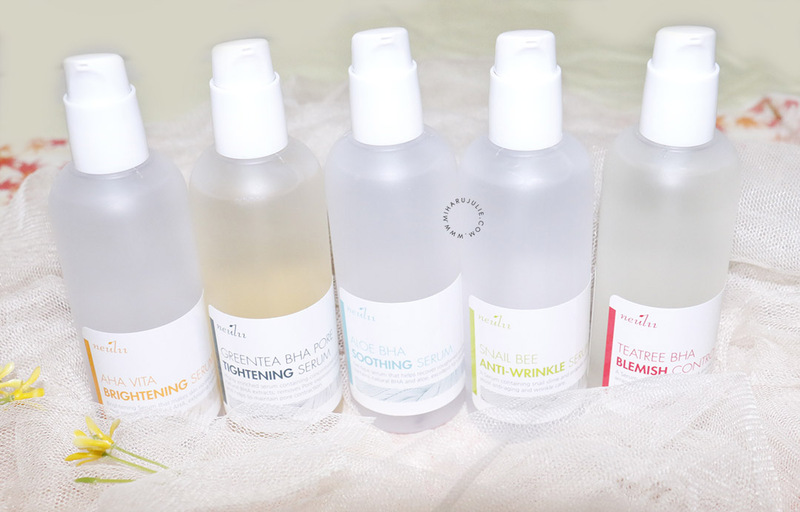 Nice items :) Wonderful post..
Serumnya banyak variant dan manfaatnya ya...bagusssss !! !